Dark circle are the dark shaded areas under the lower eyelashes. These phenomenons are caused by a membrane or a sac that has wrapped fat around the lower eyelid because it is weakened and a dark shadow is created as a skeletal line of the nose, or it looks dark by the pigmentation of the skin covering it. It gives a sad or ill-looking impression to others. 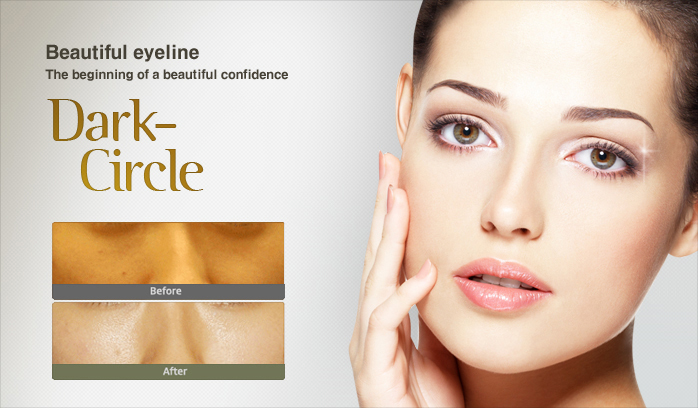 Though there are many cosmetics to mask the dark circle, it does not provide a permanent solution. 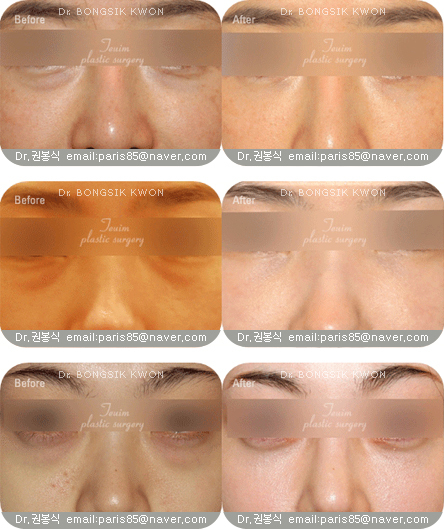 It is important to know the different causes of dark circle because there are different treatments for dark circle of different causes. 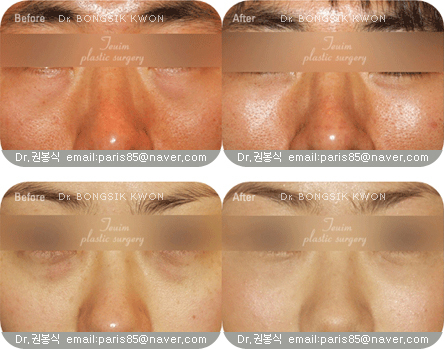 There are four main causes of dark circle. 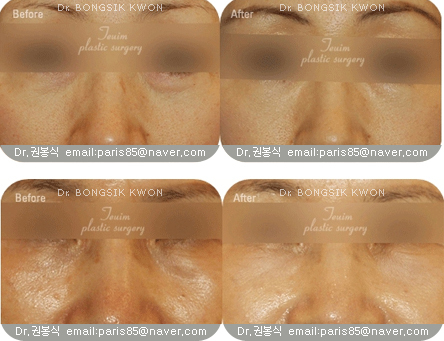 The skin loses elasticity and the fat under the eyes protrude out of the skin. There is too little fat and it looks depressed. It is looked dark because of pigmentation. The blood vessels under the eyes get thinner and show color. When it is looked depressed due to lack of fat, it can be treated by fat injection. When it is caused by pigmentation or exposure to ultraviolet rays, it would be better treat with whitening treatment along with skin care. 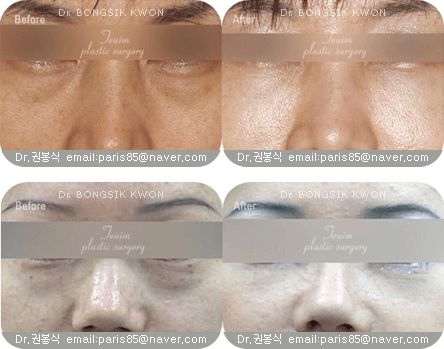 When it is looks dark due to a visible blood vessel, it can be improved by the fat injection or vascular laser therapy. 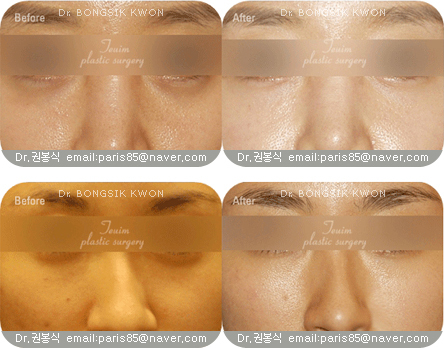 Examples) Cases showing the orbital fat protruding corrected by transconjuctival fat remval only. Examples) Cases showing depressed type of dark circle treated by dual plane fat graft. Examples) Cases of orbital fat protrusion combined with tear trough depression treated by transconjuctival fat removal and fat injection at tear trough.